Last year, 2.6 gigawatts of new offshore wind energy capacity were installed in Europe, as the European Wind Energy Association WindEurope announced today. A total of 15 new wind farms were connected to the grid, the majority of them - 85 percent - in the UK (1.3 GW) and Germany (969 MW). In Europe, 105 offshore wind farms in 11 countries with a total capacity of 18.5 GW supply people with green electricity. This is around 10% of the total installed wind energy capacity in Europe - the rest is onshore wind. It is noticeable that the size of offshore wind farms continues to grow, with records tumbling in the UK in particular: the world's largest offshore turbines with a capacity of 8.8 MW were installed there, and the world's largest offshore wind farm, Walney 3 Expansion with 657 MW, was opened. 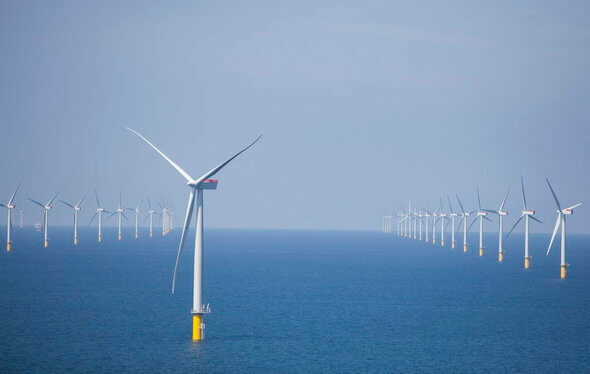 A further six offshore wind farms are currently under construction in Europe, including the world's first wind farm with a capacity of more than 1 GW: Hornsea 1 in the UK. WindEurope CEO Giles Dickson comments: “Offshore wind continues to grow strongly in Europe. The total capacity expanded by a further 18% last year. Offshore wind now represents 2% of all the electricity consumed in Europe. And with a big pipeline of projects under construction and development, this number will rise significantly. The technology keeps developing. The turbines keep getting bigger. And the costs keep falling. It’s now no more expensive to build offshore wind than it is to build coal or gas plants. And it’s a good deal cheaper than new nuclear." He praised newcomers like Poland, who also want to build offshore wind power plants in the future, and rebuked some countries like Sweden, which are not exploiting their huge potential. Germany also has to put up with criticism because it has only set a comparatively modest target for 2030. France is the worst performer, however, because despite numerous announcements over the years there is still not a single offshore wind farm off the French coast - and it is still unclear when - and if - this will change.